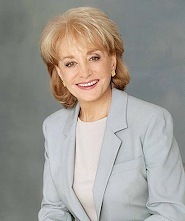 Grande dame Barbara Walters still has a "Big Get" interview in her. 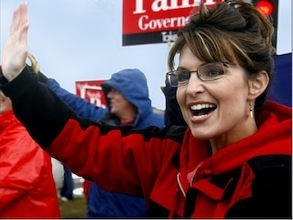 Even if Oprah Winfrey will get Sarah Palin first on the day before. ABC announced Wednesday that Walters and the former Alaska governor/vice presidential candidate will sit down for a series of interviews tied to her upcoming book Going Rogue: An American Life. They'll first converse on the Nov. 17th edition of Good Morning America, which also is the release date of Palin's book. Portions of the interview also will air that night on Nightline, on the Nov. 18th GMA and on the Nov. 20th 20/20, ABC says. This will be Walters' maiden encounter with Palin, who first broke bread with ABC World News anchor Charles Gibson during the 2008 presidential campaign. That sweet smell in the distance is the inevitable Saturday Night Live parody, with Tina Fey reprising her dead-on Palin sendup. Can't wait. ***They should make for a great couple. Steve Martin and Alec Baldwin have been named to host the 82nd annual Academy Awards ceremony, which will arrive March 7th on ABC. Martin soloed as host on the 73rd and 75th shows while Baldwin is a first-timer. They warmed up their act in a publicity release. "I don't play the banjo, but I'm thrilled to be hosting the Oscars," Baldwin says. "I am happy to co-host the Oscars with my enemy, Alec Baldwin," Martin ripostes. Baldwin has won two Emmys for his role as duplicitous NBC executive Jack Donaghy on the network's 30 Rock. Martin currently is touring with the bluegrass band Steep Canyon Rangers.